Dealspotr is like a Facebook of deals, a sharing site only for deals, NOT annoying drama. It’s the “Wikipedia of deals” with thousands of community members posting and curating deals. So yeah, you’re thinking, just another coupon code site. But it’s better! How many of you have visited a coupon code site and found a coupon code only to try to use it and find out it’s expired? Super annoying! But the coupon code site you got that code from doesn’t care that you’re super annoyed – they just care that they got you to their page. Not Dealspotr! Dealspotr has 54% more working coupon codes than Retailmenot and fewer expired codes based on a recent study. 54% more working codes and fewer expired codes means LESS annoyance for you! How does Dealspotr accomplish this? They reward their users for sharing accurate deals, providing solid deal information (including expiration dates) and flagging bad deals so they can be removed. Dealspotr is simply the best tool for finding the best deals for over 60,000 brands! 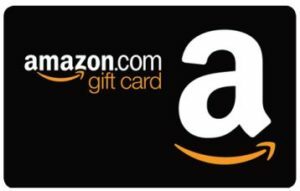 And Dealspotr is graciously offering ONE lucky reader a $100 Amazon gift card! Yes, $100! Enter using the rafflecopter entry form below. Joining Dealspotr is required for entry but a Dealspotr account is FREE! Giveaway ends at 11:59pm cst on August 6th. Disclosure- Dealspotr is sponsoring and responsible for prize fulfillment. Giveaway is not in anyway affiliated with Amazon. Open to Worldwide entries. Ends 11:59pm cst on August 6, 2016. We are not associated with any of the companies named above. No purchase is necessary to enter. Void where prohibited by law. The odds of winning are based on the number of entries received Open to the US 18+ only. Confirmed Winner(s) (by Random.org) will be contacted by email. Winner(s) have 24 hours to respond before a new winner is chosen. No purchase necessary. Void where prohibited by law. The sponsor(s) will be responsible for product shipment to winner(s) of this giveaway. My blog is not responsible for product shipment/delivery nor did I receive compensation. Only 1 prize per household. This event is in no way administered, sponsored, or endorsed by, or associated with, Facebook and/or Twitter, Google, Pinterest. This disclosure is done in accordance with the Federal Trade Commission 10 CFR, Part 255 Guides Concerning the Use of Endorsements. Entrants must only enter with either one email address, IP address and/or Facebook account, anyone found violating these rules will be disqualified. It is at the sole discretion of the admin of the giveaway if the winner has met the rules or not. No, I would not spend the gift card on any of the items on that page. At this moment, there’s nothing on that page that I would spend the gift card on. Not because I don’t like those items, but because I already own a few Kindle Fires. 😛 I think if I get anymore I’ll be considered a Kindle Hoarder. Haha. I’m not as tech oriented as some people, but there are many things on Amazon I am wishing to be able to have! I would like to get Kindle Voyage E-reader. No, I would not buy anything from that page. My Kindle is several years old so I’d like a new Kindle paperwhite. I would like the amazon fire tv. I love the Amazon Tap – Alexa-Enabled Portable Bluetooth Speaker. I want to get a tablet. I would love to have the Amazon Echo, thanks! I like the Kindle Fire HDX 7″, 3rd Generation, with HDX Display, Wi-Fi, 64 GB. The only problem is that it currently is not available at Amazon.